AUBURN, AL (WSFA) - Staring defeat in the face, Auburn intercepted Texas A&M late in the fourth quarter and scored two touchdowns in the last eight minutes to win 28-24. With 2:04 left in the game and trailing 24-21, Auburn quarterback Jarrett Stidham found Ryan Davis for 47 yards and then hit Seth Williams on a 11-yard toss to put Auburn up 28-24 with 1:41 left in the game. The ensuing Aggies drive concluded with a sack to end the thriller that breathed new life into Auburn’s season. In control of the game at 24-14 with 7:14 remaining in the fourth quarter, A&M quarterback Kellen Mond threw an ill-advised pass that was intercepted by the Tigers’ Noah Igbinoghene at the Auburn 30-yard line. Stidham then hit receiver Darius Slayton on multiple throws before Chandler Cox ran the ball in from a yard out to make it 24-21 Aggies with 5:14 left in the game. A&M took the ensuing kickoff to near midfield before Auburn’s Christian Tutt returned an A&M punt 28 yards to the Auburn 42. Auburn then used Stidham’s arm to gain the lead on Williams’ catch to break the streak of series wins by the visiting team. Auburn moved to 6-3 overall, and 3-3 in the SEC. Before all the heroics, A&M back Trayveon Williams scored on the ground and through the air to pace a steady Aggies offense that moved on the Auburn defense all day. 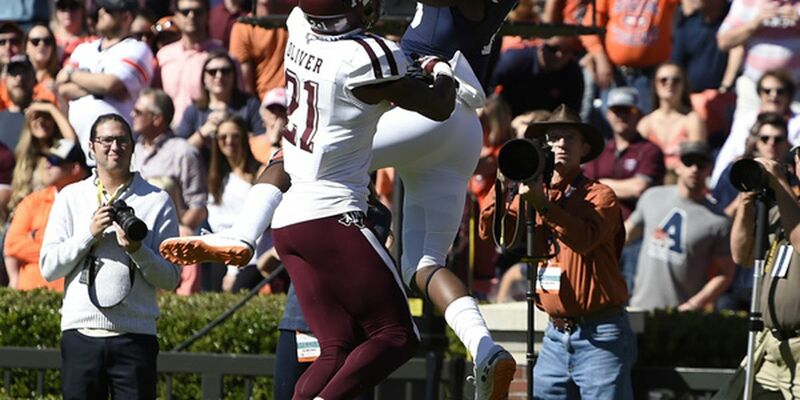 A&M Coach Jimbo Fisher used runs and screens to keep Auburn’s defense off balance. Meanwhile, Auburn backs could rarely find running room. The Aggies led Auburn 17-14 at the half and continued their offensive momentum after intermission. The Aggies took the second half kickoff and drove 75 yards for a touchdown on a Williams 1-yard dive to take a 24-14 advantage. The teams traded punts the rest of the third quarter. In the fourth quarter, A&M drove the ball to the Tigers 19 where Seth Small missed a short field goal. Auburn went backwards on the next possession and was forced to punt. That punt triggered the late-game offensive explosion that gave Auburn fans some good memories after painful home losses to LSU and Tennessee. Auburn’s first drive of the morning went backwards leading to a Small 35-yard field goal after an A&M 48-yard drive on 13 plays, mostly on the ground. A third and short screen by Auburn quarterback Stidham to back Malik Miller gained a first down and set up the Tigers to pin the Aggies inside the five on a punt. After a first down, A&M fumbled on an option and the Tigers recovered. On the first play, Auburn receiver Ryan Davis caught a lateral pass from Stidham and threw a touchdown to Sal Cannella of 20 yards to put Auburn up 7-3. A&M took the ensuing kick and went 75 yards for a touchdown, scored on a Williams 38-yard scamper. The Aggies went up 10-7. The teams traded punts in the second quarter before Auburn, mixing runs and passes, took the ball to the A&M end zone on a Seth Williams 11-yard grab of a Stidham pass. Auburn led 14-10 with 4:03 left in the half. 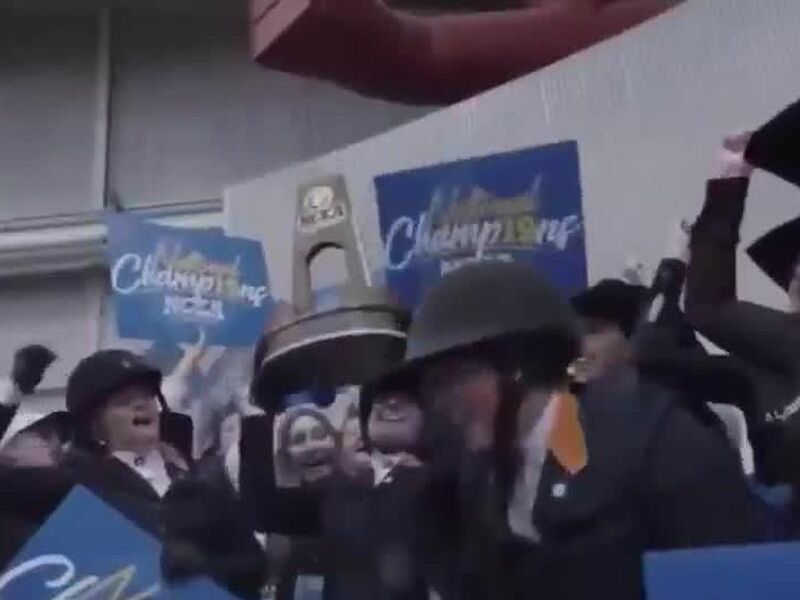 A&M took the kick and drove into Auburn territory. Fisher’s offense then turned to a screen to Williams for a touchdown, making the score 17-14 with 1:09 left in the half. Auburn next travels to Athens, Georgia, on Nov. 10 to take on the Georgia Bulldogs.